With Revved-Up Rewards, guests earn one point for every dollar spent on food and non-alcoholic beverage purchases. Additionally, earned points round up. For example, a $1 purchase equals one point earned, while a $1.51 purchase earns two points. For every 200 points a guest earns, they are rewarded with a free entrée, which is automatically added to their account. Guests can easily sign up and see their rewards account balances either online at www.thelube.com/rewards or on the new mobile app being launched simultaneously with Revved-Up Rewards. The Revved-Up Rewards mobile app is available for both Apple and Android devices and can be found by searching Quaker Steak & Lube on the App Store or Google Play. In addition to registering and accessing rewards balances, the mobile app enables guests to see the complete Quaker Steak & Lube menu, place an online order, order bottled sauces, seasonings and apparel and submit feedback. The mobile app also provides answers to frequently asked questions, and through the phone’s GPS function, the locations listing will pull up nearby Quaker Steak & Lube restaurants. In addition to the primary free entrée structure, registered rewards program members unlock a 60 MPH Reward once they initially reach the 60-point mark. The 60 MPH Reward adds a free appetizer to the guest’s account and unlocks additional benefits, including a free dessert on their birthday and 15 bonus points on their half birthday. These rewards automatically appear in the active member’s rewards wallet. “We are excited to be able to offer this program and reward our loyal guests,” shared Bruce Lane, vice president. 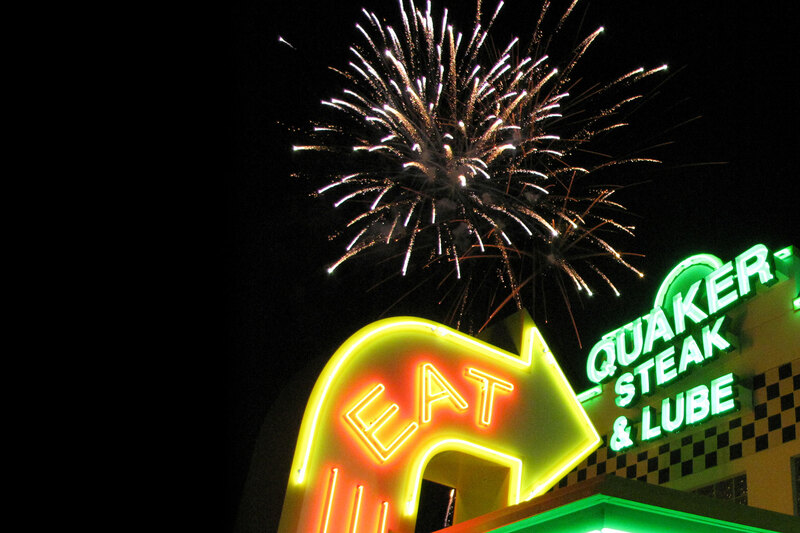 “Quaker Steak & Lube could not exist without the support of our loyal customers. Whether a family that comes in twice a month or a guest who comes in twice a week after work, Revved-Up Rewards ensures every Quaker Steak visitor is celebrated,” he added. Revved-Up Rewards has no limit on the number of free entrees a guest can earn. Additionally, there’s no limit on redemptions — if a guest has multiple free entrees on their account, the member can redeem them all at the same time, on the same transaction or check. Revved-Up Rewards members will enjoy added benefits of being the first to know about new offerings, limited time offers, holiday specials and much more. Guests can present either a rewards card or their phone number to a server to earn points and redeem rewards. Rewards cards can be obtained at participating Quaker Steak & Lube restaurants. Guests must register at www.thelube.com/rewards to be eligible to redeem rewards. Program details can be found at www.thelube.com/rewards. A long-standing concept that began in 1974, Quaker Steak & Lube has restaurants in 12 states and is operated and franchised by TA Restaurant Group, a division of TravelCenters of America LLC. Quaker Steak & Lube’s values are rooted deeply in offering craveable, quality food in a unique atmosphere attracting guest and families of all ages and sizes. The Quaker Steak & Lube ® brand includes 43 locations in twelve states across the U.S. Quaker Steak & Lube restaurants combine unique décor, including gas station memorabilia, classic cars and motorcycles, with craveable food and high-octane entertainment events. Quaker Steak & Lube has won hundreds of national and international awards for its food and more than 20 wing sauces. For more information about Quaker Steak & Lube, including franchise opportunities nationwide, please visit www.thelube.com or www.lubefranchising.com. The TA Restaurant Group operates nearly 650 quick service and full service restaurants including ten proprietary restaurant brands. The TA Restaurant Group is a division of TravelCenters of America LLC. For more information about TA and the TA Restaurant Group, please visit www.ta-petro.com.